iPhone 3GS users should be disappointed, since, according to a tweet by a popular and well respected Russian tech analyst Eldar Murtazin, who’s broken stories in the past, the 2009 device, iPhone 3GS, won’t be getting iOS 5. This rumor shouldn’t come as a surprise to anyone, since discontinuing devices is a common practice at Apple. Last year, when the maker unveiled iOS 4, still the current-generation Apple mobile operating system, support for the original iPhone and iPod touch, which hadn’t already been available for two years, was quietly dropped. 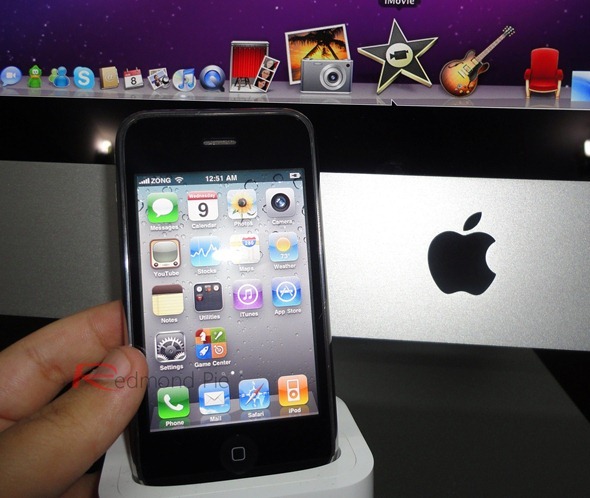 Earlier this year, when iOS 4.3 was unveiled, which included speed enhancements to Safari and support for new technologies such as Home Sharing, support for the 2008 iPhone 3G and the 2nd generation iPod touch was dropped as well. What’s different right now is the fact that the iPhone 3GS is still in stores as we speak, available as a lower-cost alternative to the iPhone 4. Dropping software updates for it, while it had still been selling at stores a few months before, and according to reports, outselling other newer Android phones, would really be unprecedented in the iPhone’s short but thrilling history. The consequence of abandoning a phone that’s still selling like hot cakes is not yet known. A significant market share will be running an outdated operating system, and therefore be susceptible to security vulnerabilities that haven’t, and most likely won’t, be patched. This might force Apple to keep releasing minor updates for iOS 4 just to avoid the bigger threat of millions of unhappy customers. That said, the company has never supported any version of iOS other than the newest one and there’s no indication that will change. It’s not all bad news, thankfully. While the iPhone 3GS might no longer be able to run the latest iOS, it will likely still run most new apps. The same is the case today, when a fair amount of new Apps still support iOS 3.x and original iPhones and iPod touches. If you’ve just bought a new 3GS, you’ll most likely still be able to run the latest version of Angry Birds on it for at least one more year. It’s still not clear what iOS 5 will bring to the table. While many are expecting deeper social integration and maybe even a whole reworking of the operating system, so far we know very little about what it might actually include. What we know is it will most likely be announced either at WWDC, which is beginning on June 6, or in September, along with the announcement of the next-generation iPhone.